A unique opportunity to purchase a parcel of land approx 2.5-3 acres, in village of Abercanaid. 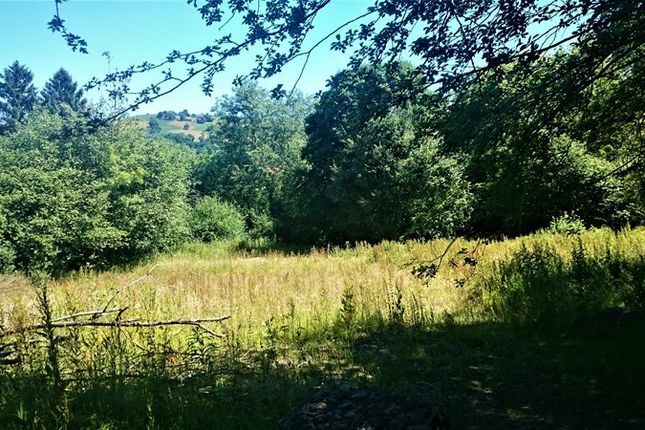 An idyllic woodland setting with close proximity to the Taff Trail. A residential or holiday let business opportunity. Detailed planning permission. Further details available from our office. A unique opportunity to purchase a parcel of land approx 2.5-3 acres in village of Abercanaid. With detailed planning permission to build a detached dwelling in addition to a separate barn and carport. The dwelling/barn not only suitable as a residential property but could offer a business opportunity as a holiday let. In an idyllic woodland setting offering picturesque views and also encompasses woodland and a pond. With close proximity to the Taff Trail ideal for countryside walks, biking on the Trail or easy access to Bike Park Wales. The location is also easy reach of convenience store within the village, to the train station and road links for commuting or to nearby tourist attractions. There is detailed planning for a detached dwelling of timber frame construction briefly comprising; Living Room; Kitchen; Shower Room; Bathroom, 3 Bedrooms, Decked Terrace. There is also planning for a separate barn, shed and carport. Multiple vehicle parking is an added benefit. Further information, including planning permission, site report, detailed drawings and calculations, are available from our office. We have been advised there are no services to the plot but water and electricity supply are within close proximity. There is no gas mains supply, would be a propane.